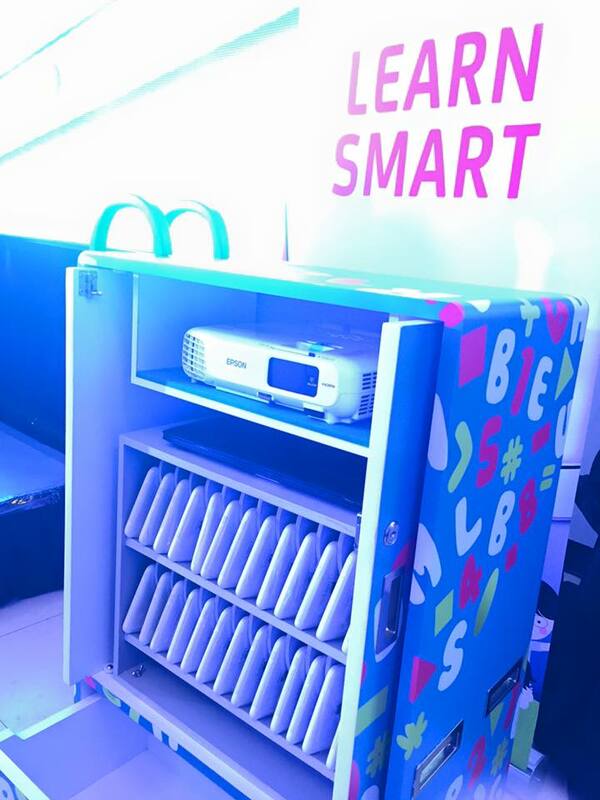 The Smart TechnoCart contains 25 tablets that will be use by the students, a laptop and a projector. 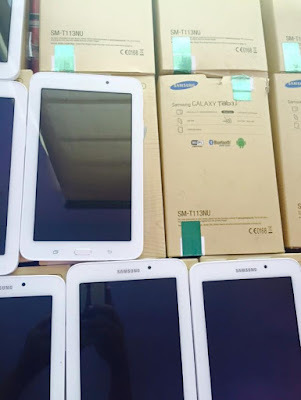 It also has a SmartBro pocket wi-fi that includes load for connectivity, and the Smart One Campus, a learning management system to help administrators and teachers to track and measure the students academic performance. In today's digital age, we aim to promote "the tablet as a great tool for learning," says Mr. Ramon Isberto, VP for Smart and PLDT, and Head of Public Affairs. "The Smart TechnoCart is a mobile laboratory designed to address the needs of young students for interactive and engaging learning tools to help them better grasp basic concepts. It does make for smart learning." 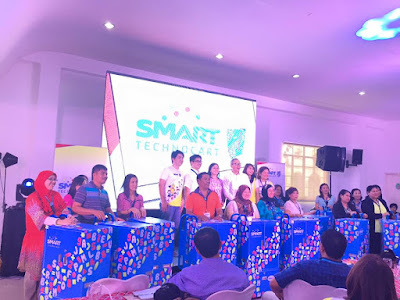 Smart teams up with the Department of Education, and Batibot to come up with an App that will make kindergarten learning more fun, aside from being educational. Every one seem to be familiar with Batibot and how it became part of our lives because we learned a lot from that show. Undersecretary Mario Derequito thanks Smart for the TechnoCart, the mobile computer laboratory that will be given to the 15 selected kindergarten schools around the country. 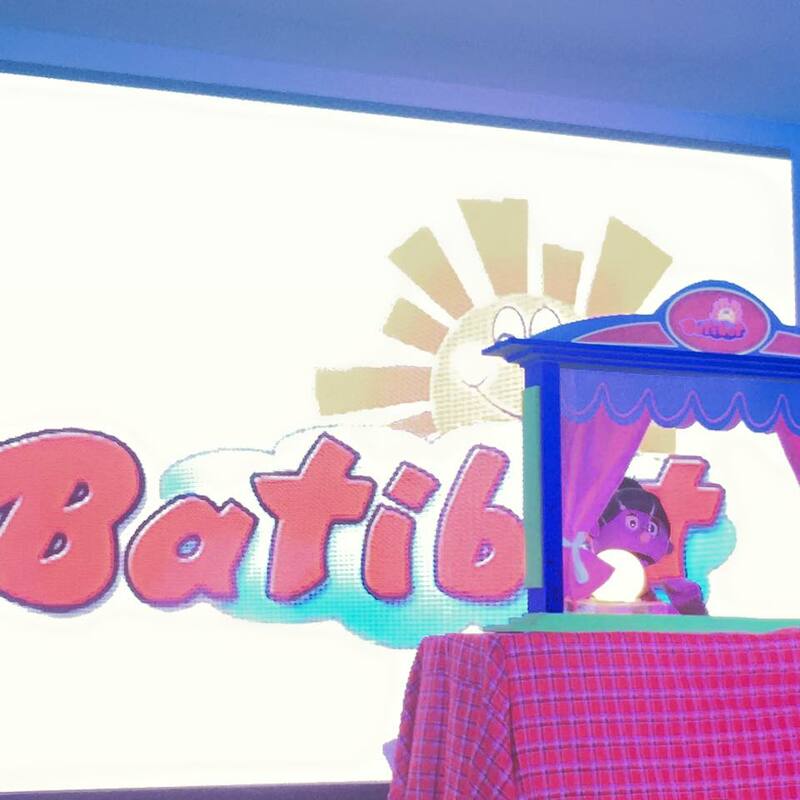 The Smart TechnoCart tablets are also pre-loaded with the Batibot mobile app, the first localized mobile app aligned with Kindergarten curriculum based on the hugely popular children's television show. The mobile app makes available educational content from the tv show into the mobile device for mobility and accessibility. The Batibot app is also in Filipino. Click this link to watch Manang Bola sing a beloved song from Batibot. 15 Public Kindergarten Schools around the Philippines are chosen for Smart's LearnSmart program. The Department of Education helped in selecting the beneficiaries. The initial school beneficiaries are: Batu-Batu Central Elementary School, Datu Halun Laboratory Elementary School, and Yusop Dais Elementary School from Tawi-Tawi; Calasiao Central School and Mangatarem Central School in Pangasinan; Bacacay East Central School and Polangui South Central School in Albay; Maluso Central Elementary School and Tipo-Tipo Central School of Basilan; Antonio L. Jayme Elementary School, Education and Training Center School II, and Rodolfo Medel Sr., Elementary School of Bacolod; Banilad Elementary School and Remigio Mercado Elementary School of Cebu; and Paranaque Elementary School for Metro Manila. 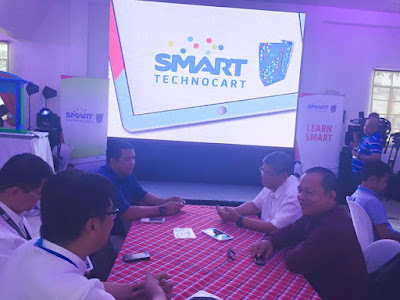 Prior to the launch of LearnSmart and turn-over of the Smart TechnoCart, some teachers and principals from the 15 beneficiary schools were flown in to Manila to attend the 3-day training program on how to use the LearnSmart App. 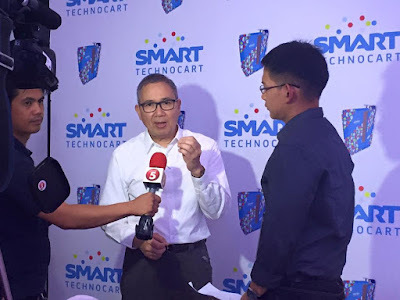 The Smart TechnoCart project is a product of the company's years of experience in working with educators for the use of wireless technologies. Smart started its education geared community programs way back in 2004. In 2013, Smart partnered with the Kindergarten department of Culiat Elementary School in Quezon City. Tablets were loaned by Smart, and were used by the entire kindergarten class for 30-minutes every day. The outcome proved positive as teachers found it easy to explain concepts to children after using the tablets as compared when they don't have it yet. Smart believes that education plays a key role in nation building. Through its LearnSmart program, it has embraced education as a key pillar under its corporate social responsibility program. It has implemented various initiatives aimed at enhancing Philippine education across the learning stages.